Vicki going into a sleep-state is proof we descend from an ancient lineage. Vicki is the granddaughter of Mary Magdalene Rosamond. 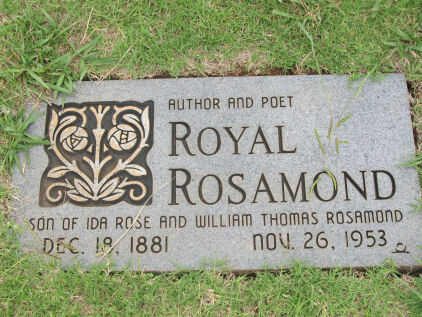 Rosamond means ‘Rose of the World’. WASHINGTON — Two senators — one who represents the largest population of Kurds in the U.S. and the other a combat-wounded Iraq veteran — are urging President Donald Trump to protect Kurdish fighters in Syria after American troops withdraw. In a letter obtained by Defense News dated Jan. 31, 2019, Sens. Marsha Blackburn, R-Tenn., and Tammy Duckworth, D-Ill., called on Trump to prevent a war between Turkey and Syrian Kurdish forces who fought alongside the U.S. against the Islamic State group. Alas I have traced my grandfather’s mother, IDA LOUISIANA ROSE, to WILLIAM ROSE, who sailed for Cowes Isle of Wight, with William Penn. William and his wife, Jane Sarah Ridgway, landed in Philadelphia in December 3, 1699. They sailed on the Canterbury, perhaps the most important ship that sailed the waters of the Isle of Wight. Alas, the TWO ROSES are joined in my ROSY FAMILY TREE. This makes my family one of the foremost PATRIOTIC AMERICAN FAMILIES in history. We fought off pirates to arrive here, so we could practice RELIGIOUS FREEDOM. In my mother’s name ROSEMARY ROSAMOND, the FAMILY ROSES are united. Here is a TRUE ROSELINE that I will design a cote of arms for, and get registered. This English Rose were Quakers. ROYAL ROSAMOND married MARY MAGDALENE. whose kindred fled religious persecution in Germany. President: Royal Rosamond Press Co. PREFACE: I just got off the phone with Safia of the Buck Foundation. I basically told her I own a jewel encrusted glass slipper, and, was wondering if there are any feet to put it on. I commented on the irony of her name, and, she had an accent. I asked if she saw the movie ‘The DaVinci Code’. She had. I told her the architect, Pei, designed the pyramid over the Louvre, and there is a prophecy going on. I told her the Knights Templar were in one of my proposals. Here is Rubar Sandi’s main business.